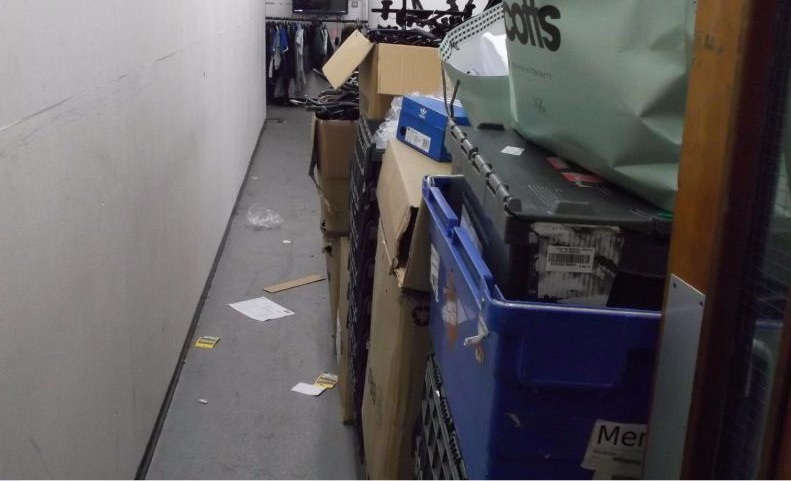 JD Sports Shop has been fined £60,000 after firefighters found that piles of stock ordered for the Christmas rush had blocked emergency exits at one of its Black Country stores. West Midlands Fire Service found that escape routes at the JD Sports shop in the Merry Hill shopping centre in Brierley Hill was lined with crates and stock, reducing the width of one corridor to just 30cm. Wolverhampton Magistrates Court heard that inspectors visited the JD Sports Shop in December 2015 as part of routine pre-Christmas programme of visits. 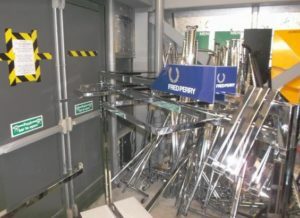 They found that too much stock had been ordered, causing an overstock problem with clothes rails blocking the store’s fire escapes. The fire service left staff at the shop with instructions to clear the exit routes, but when inspectors returned two weeks later they found that their advice had been ignored. A fire risk assessment carried out by the firm 18 months before the visit by the West Midlands Fire Service had identified problems with escape routes being blocked by packaging waste, according to regional newspaper the Express and Star. The May 2014 assessment recommended that the waste be removed, and that a store manager should check the escape route every day. Wolverhampton Magistrates Court heard that inspectors visited the store in December 2015 as part of routine pre-Christmas programme of visits. JD Sports Fashion admitted six offences. District Judge Michael Wheeler fined the store £10,000 for each charge and also ordered it to pay £7464 in costs. Mick Norton, a fire inspection officers at West Midlands Fire Service, said: “It beggars belief that the company compromised the safety of their staff and Christmas shoppers in this way. “Retailers must realise they can’t put profit before people’s safety by over-stocking, reducing the width of escape routes and blocking fire exit routes.